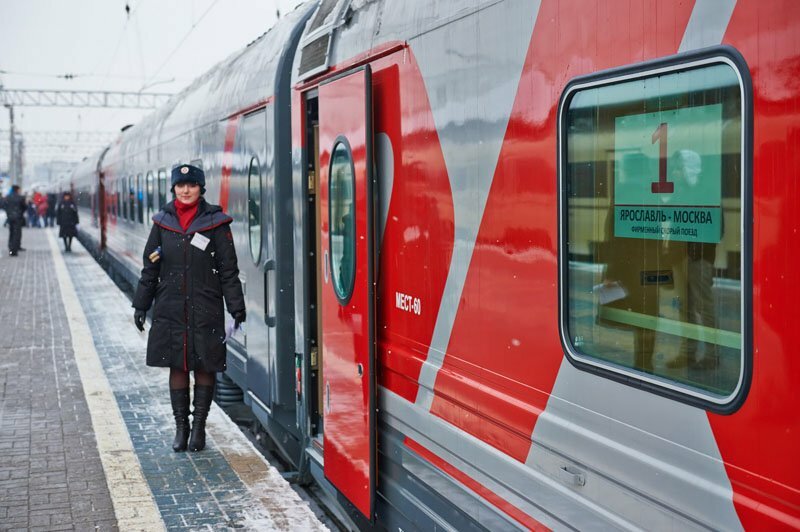 Yaroslavl - Moscow train, Buy Yaroslavl - Moscow train tickets online quickly and easily. The train operates on Moscow - Yaroslavl 2-3 times a day. It also makes a stop in Rostov. Seats of various classes as well as 2nd class sleeping compartments are available on the train. 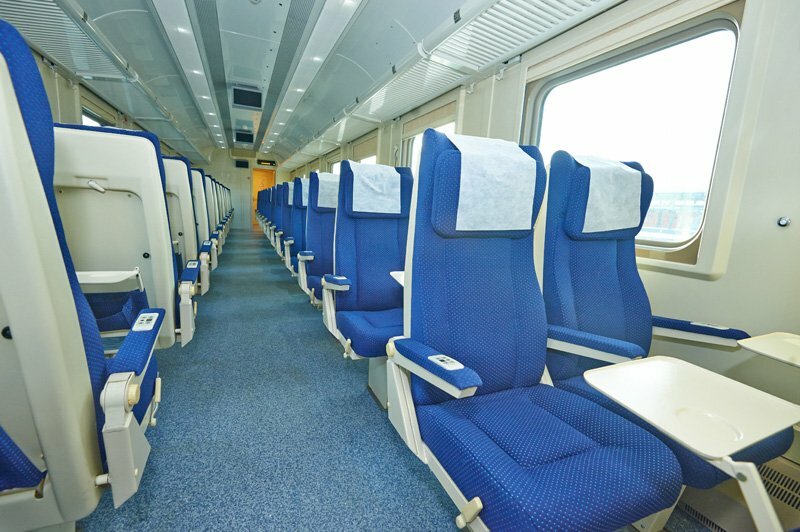 Pemium 1st class carriage has 42 seats. Carriage is equipped with TV and DVD. Ticket price includes one meal, personal hygiene set, disposable headphones and a blanket. Superior 2nd class carriage has 66 seats. Tickets come with and without meals. All superior 2nd class tickets include personal hygiene set and disposable headphones. Carriages are equipped with TV and DVD. 2nd class carriage has 66 seats that come without any additional services. Carriages is equipped with TV and DVD. 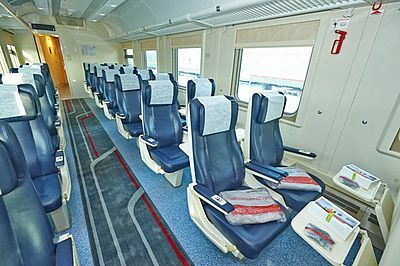 2nd clas sleeping compartment has two lower and two upper berths. Tickets come without any additional services. The train has a restaurant car. Meals can be ordered to the cabin (or to the seat).